For the past month, Kelly Meyer has looked everywhere in Quakertown, Bucks County for the orange boxes. Target. Giant. CVS and Rite Aid. But no Wheaties anywhere, she said. Her local Walmart doesn't even have a space in its cereal aisle for the brand anymore. She even has her brother searching in the Wilkes-Barre area – to no avail. Meanwhile, her husband, Craig, is going without his Breakfast of Champions, his cereal of choice for 50 years. And the corn flakes, rice Chex and Cheerios in his bowl in recent weeks just aren't cutting it. "He doesn't like them nearly as much," she said. Nationwide, people are going through Wheaties withdrawal due to a shortage of the General Mills product. In recent weeks, the cereal has been a no-show at a Dresher, Montgomery County supermarket and the nearby Walmart store in Horsham. There's no doubt: the tell-tale orange boxes are largely missing from shelves. On the Wheaties Facebook page, commenters are flaking out over the shortage. For months, shoppers in the Philadelphia region, South Jersey and across Pennsylvania have lamented their inability to find the crunchy wheat flakes. Dozens of similar complaints have been reported on social media by commenters across the country – from Maryland and Georgia to California and Kansas, and all the way to Plymouth, Minnesota, just down the road from the foodmaker's headquarters in Minneapolis. One commenter wrote: "I can’t find them anywhere. It’s one of the only things my husband eats for breakfast. He has been eating it for the last 38 years." "Something is going on with Wheaties and they don't want to tell us the truth!" wrote another commenter. Pelagia Harbilas Peslis, a Facebook commenter, wrote three weeks ago: "I can’t find wheaties in my grocery store. My 4 yr old has been asking me everyday to bring it home. Why the shortage??" "Hi Pelagia!," the Wheaties social media team responded. "Sorry for the trouble. This product is not discontinued. Due to increased demand across our portfolio of Basic 4, Wheaties, and Total cereals, we are experiencing a shortage at some retailers. We are working hard to resolve the issue and will be back on shelf soon. Hope you find it soon! Thank you." "Wheaties fans can rest assured that the Breakfast of Champions is not going anywhere," the reply read in part. "We know that people are currently having a difficult time finding Wheaties right now and the cereal should become more readily available on store shelves in about a month or so. "We thank you for your patience!" it ended. Wheaties actually debuted in 1924 as “Washburn’s Gold Medal Whole Wheat Flakes” and took the one-word name the next year. (Washburn Crosby was the predecessor company of General Mills). 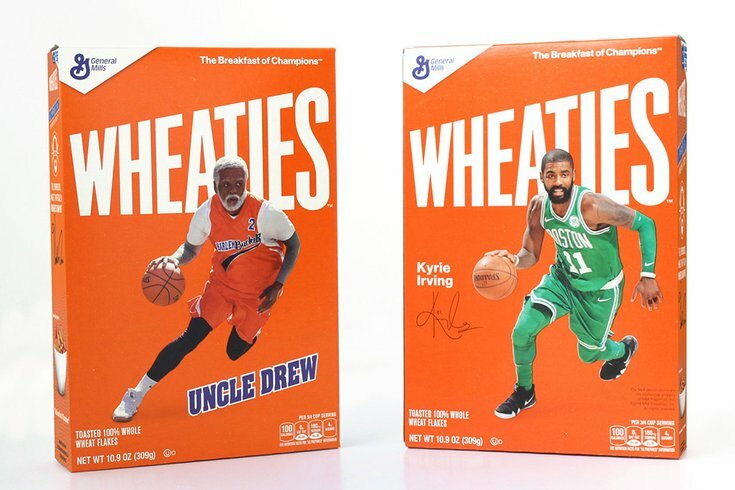 After a rough number of years, the brand's popularity caught on and the cereal became a staple in the cereal aisle with boxes often featuring famous athletes like Michael Jordan, Mary Lou Retton and Tiger Woods. But does any of that figure into the shortage of Wheaties? The company isn't saying much. A recent report on Motley Fool suggests that a nationwide trucker shortage and other factors are making it more expensive to get Wheaties (and other products) on store shelves. The skyrocketing freight costs – what it costs to get all those crunchy flakes into stores – is increasing the cost of the cereal as well. CEO Jeffrey Harmening told Motley Fool that it is being forced to go out to the active market for about 20 percent of its product shipments (historically that number is about 5 percent) and consequentially paying shipping rates that are 30 percent to 60 percent higher than its contracted rates. The Washington Post reports that more than 50,000 truckers are needed nationwide to combat the shortage, which is delaying shipments for many manufacturers. Late last week, a box of Wheaties was selling through one Amazon retailer for $29 as a nationwide shortage of the cereal persists. But with little solid information coming directly from the company, other theories are being bandied about online, including that the company is experiencing production issues. One commenter mused that perhaps the company is in the throes of a Wheaties recall and is trying to avoid bad publicity. Another posited that Wheaties aren't selling anymore and General Mills is holding back on production to make more Cheerios. Late last week, General Mills spokesman Mike Siemienas wouldn't comment on the possible role being played by the trucker shortage on Wheaties availability, again issuing the company line heard by the Meyers. "We have nothing additional to add," Siemienas said. He recommended that people call their stores and ask if there are any Wheaties on the shelf. Those thinking they might be able to score a couple boxes on Amazon or eBay to tide them over will be disappointed. As Kelly Meyer found out, some retailers are charging $29 a box on Amazon (with FREE shipping!). And while the majority of Philly-area Target stores appear to be out of stock, for now you can order Wheaties on Target.com at $3.89 for a 15.6-ounce package and get them within a couple of days. There is a $25 minimum order so be ready to order seven boxes ($27.23) and pay a $6 delivery fee. Or order nine boxes for $35.01 to get free shipping – and share them with family and friends. For some, that's a lot of extra bother to dig into a bowl of their favorite flakes, but for others having Wheaties back in the bowl will lighten the mood at the breakfast table.